An injured patella tendon can be treated with soft tissue massage, anti-inflammatory medication, and icing. When this is not enough, then surgical repair is sometimes required. 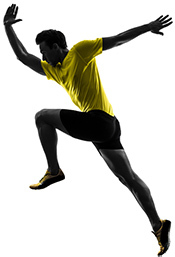 The patellar tendon is a strong tendon extending from the kneecap to the tibial tubercle or the front of the tibia. The tendon is surrounded by a synovial sheath. When the synovial sheath is inflamed we call this bursitis. Bursitis or housemaid’s knee is commonly seen in people who kneel on their knees such as carpenters and roofers. Patellar tendinitis as opposed to bursitis is inflammation within the patellar tendon itself. The inflammation usually begins due to repetitive injury such as kneeling, bending, and squatting. When the inflammation does not resolve, the tissue itself will degrade leading to chronic tendinitis which is in reality an area of the tendon that has necrosed or died. 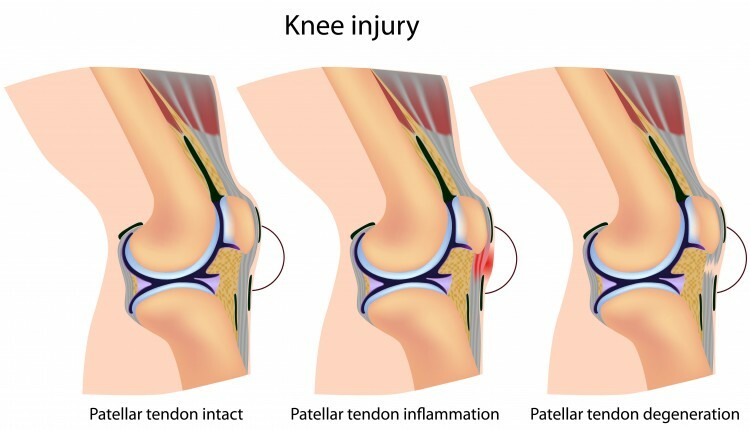 Because the abnormal tissue does not take up the appropriate amount of force when loaded in a knee bend, there is weakness and pain at the patellar tendon. The injury can also start due to an injury in which there is a sudden bending of the knee or loading of the kneecap at which time a small portion of the tendon tears and fails to heal. This is often noted by weakness and pain. An MRI is the most effective way of diagnosing and differentiating between the different types of inflammation around the patellar tendon as the MRI images define not only the specific kind of inflammation, tearing, or degradation within the tendon, but also the location and extent. Specific treatment for patellar tendinitis includes soft tissue massage, anti-inflammatory medication, and icing. We never inject cortisone into the patellar tendon because it further degrades the tendon and can lead to a tendon rupture. We do use anabolic stimulation such as platelet-rich-plasma (PRP) which has growth factors or stem cells which release growth factors to stimulate healing. When this is not enough in combination with a defined exercises program, then surgical repair is sometimes required. A novel surgical repair whereby the tendon is exposed using a shaver during an outpatient arthroscopic surgery. The tendon is then injected with a growth factor and a suture passed inside and around the tendon. This is then tied directly underneath the subcutaneous tissues securing the torn fibers together so that healing can occur.